Base your studies at the heart of Northwestern University, where Medill started back in 1921. Northwestern’s original lakeside campus is located a few convenient miles north of Chicago. Here, you’ll be surrounded by both undergraduate and graduate students, as well as top-notch faculty and staff and Big Ten athletics. If you’re based in Evanston, you’ll easily travel back and forth from downtown Chicago, if needed, to access our campus there or real-world internship and networking opportunities in the city. In Evanston, you’ll also be at the hub of Medill’s extensive network, which extends not just across the country but around the world. 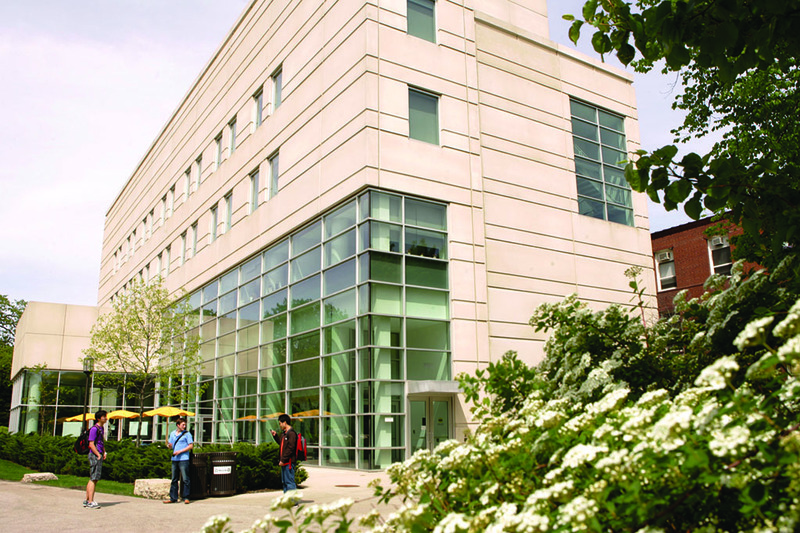 On the Evanston campus, Medill is housed within two buildings, Fisk Hall and McCormick Foundation Center. 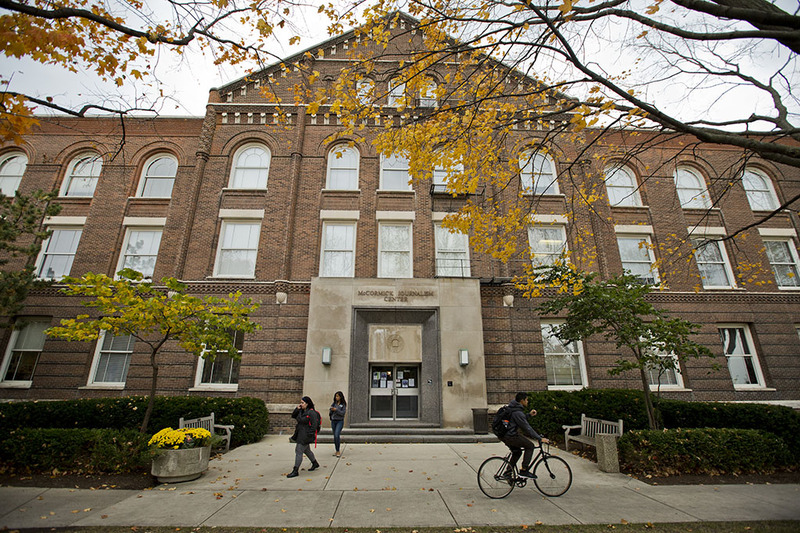 Medill has been operating out of Fisk Hall since 1954, although the building itself, which was designed by renowned Chicago architect Daniel Burnham, dates back to 1899. The McCormick Foundation Center opened in 2002. It also houses a broadcast studio and the Forum auditorium.